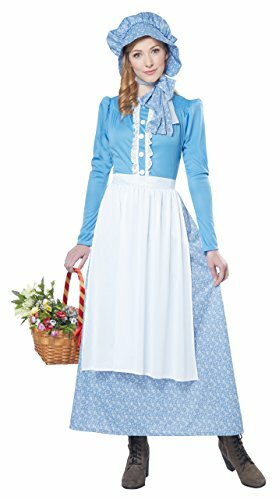 Making a home on the range, the pioneer woman costume is a long sleeved prairie styled dress with an attached apron. It includes a bonnet hat. Boots and basket with flowers not included.